What goes with a dramatic poem or short story? 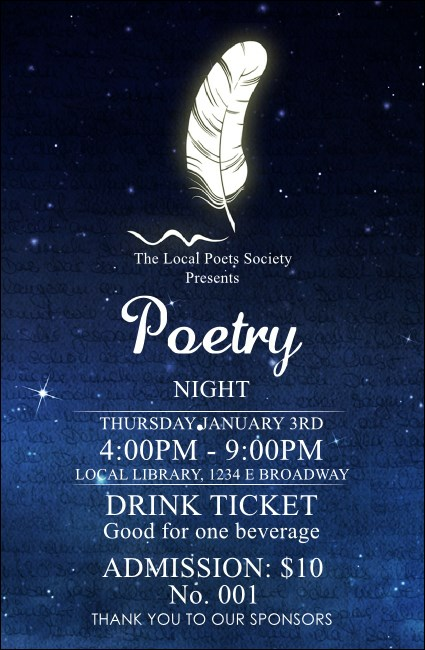 Serve wine, tea, or coffee at your reading and distribute the Poetry Quill Drink Ticket to keep your audience organized. A dreamlike feather sits above white text with all your event details, on a night sky background. Keep your guests imbibed with this beautiful template.